In May of this year, the Supreme Court of Canada heard arguments in two cases on the BC Government's Immediate Roadside Prohibition scheme. I was fortunate to be granted leave to appeal the decision in the Wilson case, and presented my argument to the court first thing that morning. The room was packed with lawyers who have more experience at this level than me, who had been practicing for years, and for many of whom it was one of many trips they have already made in their careers. There were two cases being heard that morning - the Wilson case and the Sivia/Goodwin case. The second case was about the constitutional challenge to the IRP laws, while my case pertained to whether an officer has to have reasonable grounds beyond just the reading on the ASD in order to issue the prohibition. There were a lot of things that struck me about the experience. Some were trite. For example, the judges sit a lot closer than they appear to in the videos, and are not very elevated from the rest of the courtroom. Some were a little more profound. I was standing in front of some of the smartest legal minds in the entire country, telling them about what's happening with British Columbia's DUI laws. To top it all off, I was the youngest person in the room and folklore says I am also the youngest person to have ever stood at that podium. Since I've been back, a lot of people have asked me about the experience. The first question most people ask is this: were you nervous? I wasn't. Not the least bit. I have been handling Immediate Roadside Prohibition cases since the day I became a lawyer. Before that, I articled at Acumen Law Corporation and assisted on these files, on reviewing disclosure, preparing evidence, and crafting legal arguments including those that formed a part of the Sivia or Goodwin case. Since IRPs were introduced in September 2010, not a single day had passed that I did not spend time thinking about them, talking about them, and working through legal issues regarding them. You might say I'm obsessed. I say I'm dedicated to my profession. So I wasn't nervous. I was ready. And I had a big task - I had to tell the panel of seven judges about IRPs before anyone else. I was first up that day, and at 6:00 a.m. British Columbia time, I was supposed to lay the foundation that would set the stage for determining all of the questions of national importance the Court was sitting there to hear. You can watch the video and let me know in the comments if you think I did the task justice. One of the hardest things I have had to do as a lawyer was sit in that courtroom. Not because I was afraid or daunted or inexperienced. But because after I was finished my argument, I was finished for the day. But there was still a list of many lawyers who would be speaking about the Immediate Roadside Prohibition regime on the Goodwin case. I wasn't counsel on any of the Goodwin files. That task went to two very smart lawyers, Howard Mickelson and Shea Coulson, who are knowledgeable about constitutional law. And then there were the Government lawyers and the intervenors. Why was it so hard to sit through that? Because when the Government lawyers got up to say their piece, I didn't have the opportunity or the right to correct anything that the Government lawyers seemed to get wrong. And there were certainly a number of points made by the Government lawyer that needed to be corrected by the time he finished speaking. One of the things that the Government lawyer told the Court was that fairness was something that the RoadSafetyBC Tribunal is concerned with. In particular, the Court seemed to be interested in the idea that the demand was based on the Criminal Code, but there was no remedy if you blew a "Warn" or a "Fail" and the demand wasn't valid. The Government lawyers seemed to suggest that it was open to an applicant to argue that the demand was invalid, and that the tribunal may see fit to revoke the prohibition on the basis that the results are unreliable if that is the case. This has certainly not been my experience. What was more offensive was that the Government lawyer suggested that this was simply something that lawyers haven't been arguing. There are hundreds of files in my office where I have made Charter-related arguments, and the decision has come back to say that the adjudicator simply does not have jurisdiction to consider these issues. I've had clients be made to blow into roadside breathalyzers for spurious reasons: wearing sports jerseys, paper wrist bands, denying consuming alcohol with no symptoms, simply having been in an accident. In those scenarios, the Government lawyer told the Court that he would likely have the prohibition revoked due to unreliable results. In practice? They weren't. In all of those cases each and every client did not succeed on the argument that their IRP should be revoked because of the unlawful demand. And I'm not the only lawyer who has seen that this was a problem. I cannot begin to describe the number of times a client has come in to my office, bruised and battered. They describe being beaten by police during the investigation. The Government lawyers say the process allows "room to deal with" those situations. In my experience, those clients don't succeed simply because a racist officer beat them up for not being White. The reality is that what the Government lawyer told the Court was not what happens on the ground. It might be how these cases are handled in a perfect world, and it might be how he believes the cases are dealt with. But as someone who probably does more IRP hearings than any other lawyer in British Columbia, I know that what he said simply isn't the case. I wanted to stand up and correct the record. I knew that I could cite a dozen cases, including Wilson, as evidence that these considerations aren't grounds of review under the Motor Vehicle Act that result in prohibitions being revoked. But I could not. I had to sit silently and hope that the other lawyers in the room would use their time for reply in such a manner as to correct all of this. But with only five minutes allotted for a response to the submissions of the Government, it's hard to correct everything and it's hard to cover every inaccurate or contentious point. If the Government can take that position with the top court in the country, then I'm going to make them stick to it. It will be interesting to see how the changes play out, and what happens when the decision is rendered. Right now we don't know when that will be. But as soon as it does happen, you can read about it here. For me, this was a rewarding and challenging and exciting opportunity. I am grateful and fortunate to have been permitted this chance. But I'm also hooked. It was enormous fun, and I can't wait for the next chance I have to get back there. i owe a really big thank you to a few people, including the brilliant minds at the Supreme Advocacy LLP law firm, who did the agency work for me and helped me with many questions about the process. And to the smart and useful litigators who volunteer with the Supreme Court Advocacy Institute helping young lawyers like me learn about the nuances of presenting to the top court. And to Paul Doroshenko who did what most senior litigators would not do - he stood to the side and let me have my moment, knowing how hard I had worked to get there. Hi Kyla, I was up at 6am and watch the SCC webcast live. I thought you were absolutely Brilliant. I loved at time you were giving your reply and started to leave and Justice Maldaver asked you a question and you looked so happy to answer. Congratulations, you did a "Supreme" job. 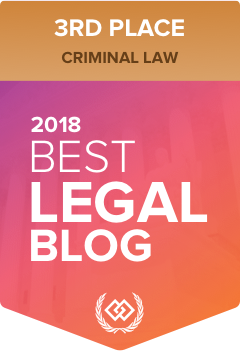 I have been following the Acumen Law Blog for two years and now also follow this blog and also follow https://twitter.com/irplawyer.I watched the SCC case and was impressed with your arguments.You certainly held your own. Thank You for all you and your learned colleagues do. Good Work!